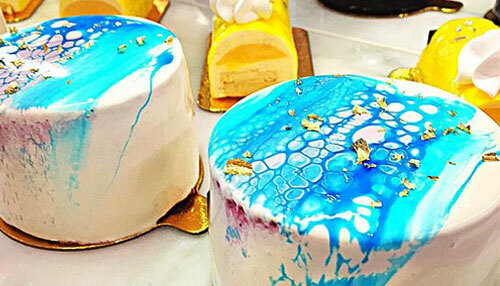 Originally from Vancouver, Ricardo Rosas discovered his love for pastry at an early age. He has very special childhood memories baking with his mother and grandmother, who were Mexico-born and Germany-raised. When the time had come to choose a career, Ricardo first went for a bachelor in commerce with a major in hotel & restaurant management. He worked in the industry for a few years but kept looking back to his childhood baking interests, which urged him to join the Pacific Institute of Culinary Arts where he obtained a baking and pastry diploma. Soon after graduating, Ricardo worked as the Assistant Pastry Chef at the renowned French Chef Daniel Boulud’s restaurant DB Bistro Moderne. Strong of this experience, Ricardo was then named Head Pastry Chef at Faubourg Paris. 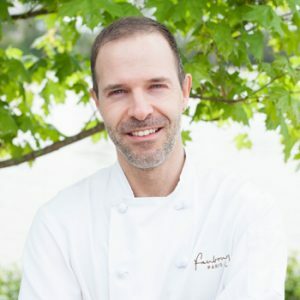 He was one of the first employees joining the company and helped Faubourg achieve important milestones, from the first opening in Kerrisdale in 2010 to the development of the company as a chain of three boulangeries-pâtisseries.